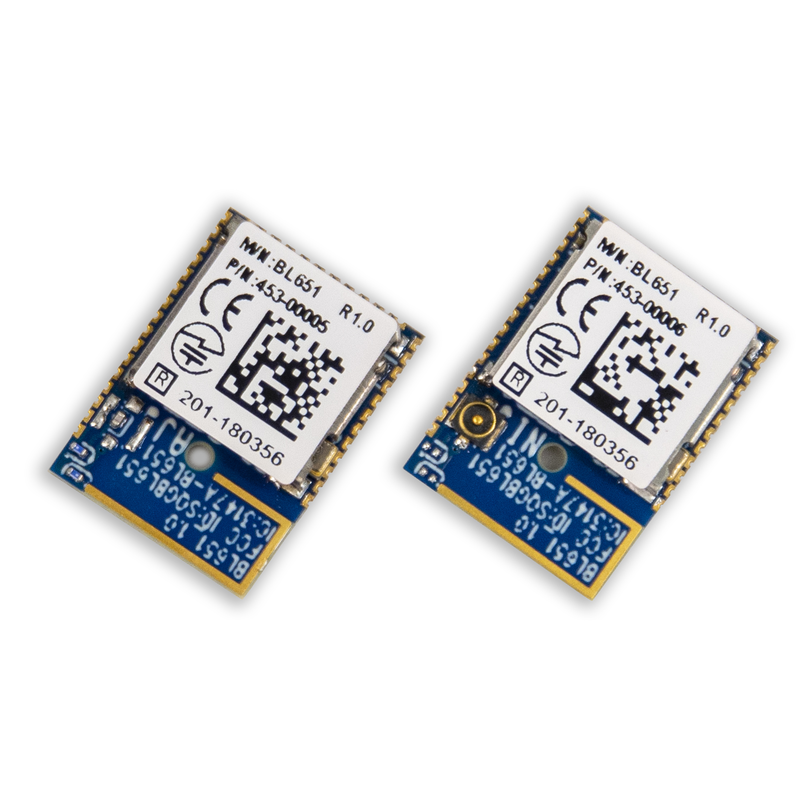 Laird’s BL651 Series contains the latest Nordic nRF52810 silicon with Bluetooth 5 Low Energy capabilities and groundbreaking ultra-low power performance. 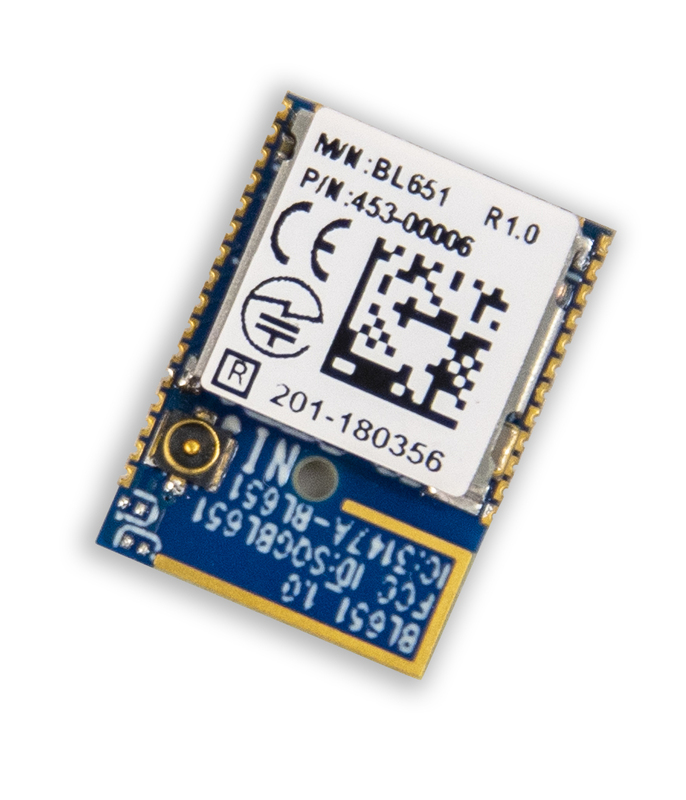 Building on Laird’s multi generation module developments utilizing Nordic silicon (BL600, BL652, BL654) – now comes the latest series offering cost effective Bluetooth 5 enablement for simple BLE applications. The BL651 series exposes all the capabilities of the Nordic nRF52810 silicon in a small, fully certified module with simple soldering castellation for easy prototyping and mass production manufacturing. Use the Nordic SDK & SoftDevice or Zephyr Project to deliver your BLE application. 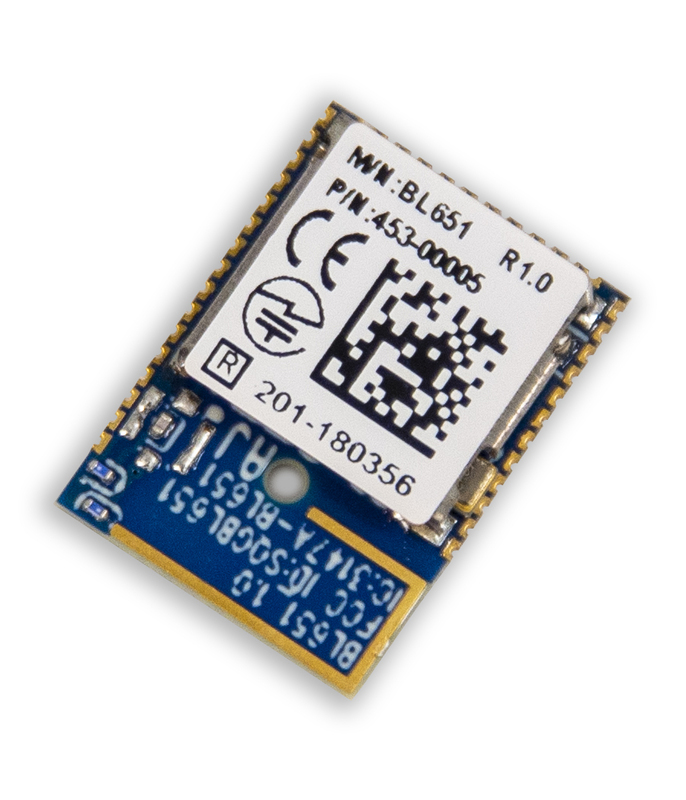 Let Laird’s innovative BL651 series and decades of expertise in Bluetooth module design speed your product to market. In addition the BL651 series is 100% PCB footprint drop in compatible with the BL652 Series of modules.